Ongoing research on ovarian follicle development at the College of Medicine is changing how we use hormonal birth control and helping patients dealing with infertility. 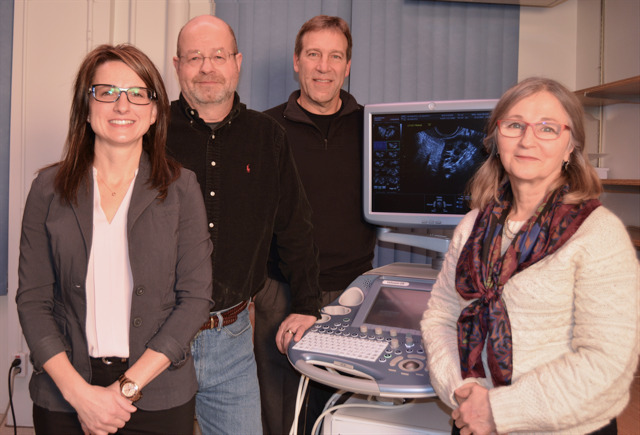 In 2003, a team of College of Medicine researchers published work that provided a new model for ovarian function during the menstrual cycle, and now – 13 years later - they’re getting to see the clinical applications of their work come to fruition. Collaborative research done by Dr. Roger Pierson the College of Medicine, and Dr. Gregg Adams at the Western College of Veterinary Medicine had already shown multiple waves of ovarian follicle development in animals. With that in mind, Pierson and his team (Dr. Donna Chizen and Dr. Femi Olatunbosunat) began to observe follicle growth at atypical times of the menstrual cycle in women who were undergoing fertility treatment – results that directly led to Baerwald’s research. The research garnered quite a bit of international attention, but it was a recent presentation at the 43 International Dexeus on Women’s Health in Barcelona where the clinical applications of their research were presented. These findings have since contributed to the development of new guidelines for missed birth control pills. It has allowed for new formulations that allow the women to take the pills back-to-back for three months at a time, and then only have a period four times a year, rather than once every 29 days. To add to that benefit is the fact that the research applies not only to the pill, but other hormonal contraceptives including patches and rings. An image of a healthy follicle. 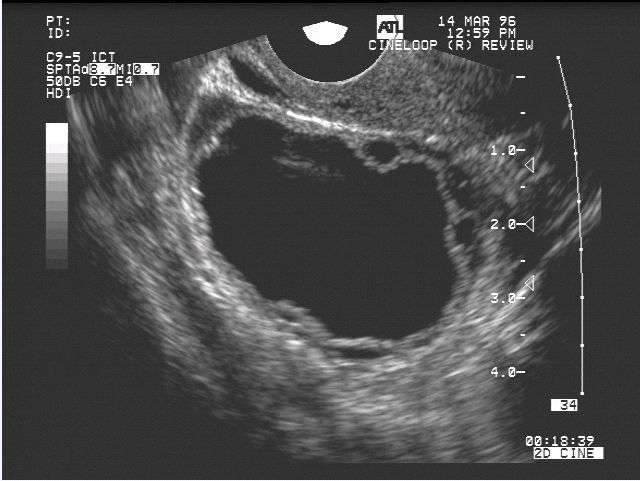 But contraception isn’t the only clinical application for the follicle research; it is in fact also being used to optimize infertility treatment. “For more than 25 years, fertility therapy has been initiated at only one time of a woman’s cycle – and that’s at the very start of her cycle,” she explained. “Now that we know that follicles develop at more than one time of a woman’s menstrual cycle, some fertility clinics around the world are initiating fertility therapy at multiple set times of the cycle or randomly at any time of the cycle in women undergoing in vitro fertilization. This application, Baerwald stresses, has been particularly important for two groups of women seeking fertility treatment: onco-fertility patients, and ‘poor-responder’ patients. Onco-fertility patients are those who have been diagnosed with cancer and need to undergo urgent fertility therapy prior to chemotherapy. These women need to obtain eggs and resulting embryos that can be frozen for transfer at a later date. The new results mean that women don’t have to put off cancer treatment to wait for their next cycle to start. They can instead start fertility treatment at any time during their cycle. In comparison, ‘poor-responder’ patients are women who have undergone fertility therapy at the start of their cycle, but were unsuccessful in obtaining eggs or embryos. If not enough follicles grew during the cycle, women used to have to wait for the beginning of the next cycle to try again. However, with knowledge of follicle waves, women no longer have to wait. They can restart fertility therapy when the next follicle wave emerges. “Preventing a delay in fertility therapy is especially beneficial for older women, as more and more women are waiting to have children," Baerwald explained. "Advanced age is the leading cause of infertility in North America because, as women get older, the number of follicles (and eggs) in their ovaries is continuously depleted." Baerwald has expanded upon her graduate research to characterize atypical follicle development and hormone production that occurs during the perimenopause, the third clinical application of this work. These findings have potential clinical implications for understanding the increasing incidence of twin pregnancies, miscarriage and uterine cancer as women age. When Baerwald was an undergrad student in 1997 she knew that she intended to pursue a medical degree, but it was the opportunity to work with Pierson that directed her onto a clinical research path. From there, she completed a PhD with Pierson followed by a postdoctoral fellowship at the University of Ottawa. She returned to the U of S in 2005 to establish a career in women’s health research, and is currently working to complete a medical degree while balancing her research program. It’s a lot of work, but Baerwald has already shown that, for her, it has been a very rewarding experience. Article re-posted on Jan 18, 2019 4:19:43 PM .